In surprising news considering the shows popularity, Netflix have revealed tonight that Daredevil has been axed after 3 seasons. This comes in the wake of Luke Cage & Iron Fist also being axed by the streaming giant, amid reports of strained relations with Marvel. "Marvel’s Daredevil will not return for a fourth season on Netflix. We are tremendously proud of the show’s last and final season and although it’s painful for the fans, we feel it best to close this chapter on a high note. 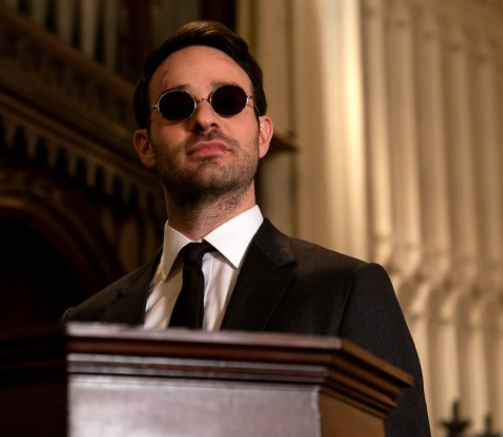 We’re thankful to showrunner Erik Oleson, the show’s writers, stellar crew and incredible cast including Charlie Cox as Daredevil himself, and we’re grateful to the fans who have supported the show over the years. While the series on Netflix has ended, the three existing seasons will remain on the service for years to come, while the Daredevil character will live on in future projects for Marvel," Netflix said in a statement. Deadline have reported on the fact that shooting in New York has proven extremely costly, even with New York’s generous tax credits. Additionally, Netflix and Marvel TV have been arguing over the season orders. Being part of the first wave of Netflix original series, all Marvel series have produced 13-episode seasons. But Netflix has since switched to seasons of 10 episodes and has been pressuring Marvel TV to switch to fewer episodes, which the company had been resisting. Given how well received the show has been by both critics and fans, this news is incredibly shocking but not entirely surprising as Netflix moves into its next phase of development.